Singer Demi Lovato has something to say. On Tuesday, Nov. 6, 2018, the "Skyscraper" hitmaker took to Instagram for the first time since entering rehab over the summer, and used the opportunity to encourage her fans to do their civic duty during the midterm elections. "I am so grateful to be home in time to vote!" 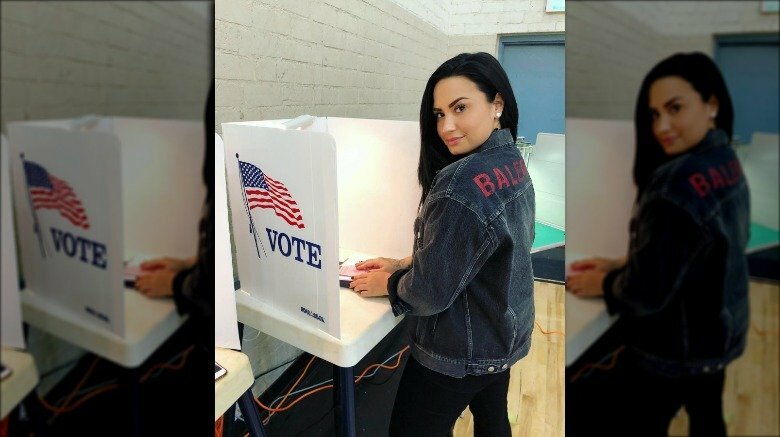 Lovato wrote to her 70.5 million followers, captioning a snapshot of herself at a polling location. "One vote can make a difference, so make sure your voice is heard!" Alongside ballot box and American flag emojis, the Disney Channel alum added, "Now go out and #VOTE!!!!" As Nicki Swift previously reported, Lovato was spotted in Beverly Hills, Calif. over the weekend while grabbing sushi with designer Henri Alexander Levy following a three-month stint in rehab. At the time, a source told E! News, "Demi looked great and so happy to be out." Adding that the pair "seemed like good friends who were catching up and excited to see one another," the insider emphasized, "She seemed happy and healthy." 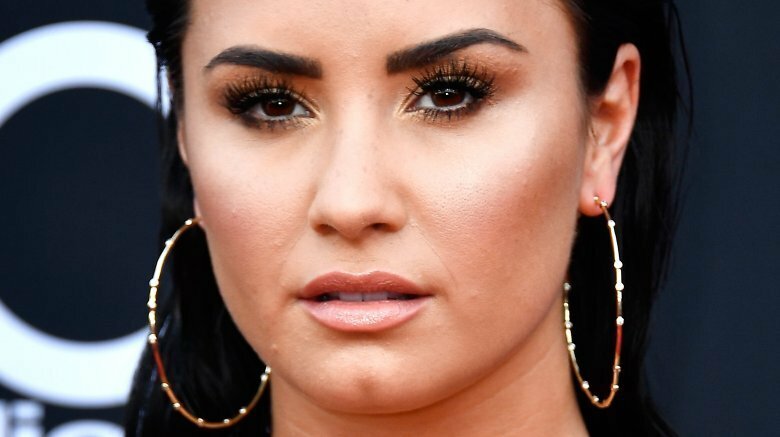 The "Tell Me You Love Me" singer, who has a history of drug and alcohol abuse, had entered an undisclosed treatment facility after suffering an apparent drug overdose in her Los Angeles home in late July 2018. According to sources cited by TMZ on Wednesday, Nov. 7, Lovato is reportedly easing back into "a normal life" these days while continuing her treatment outside of rehab. Between spending three days a week at a sober halfway house and four days a week at her private Los Angeles home, the 26-year-old pop star reportedly "has a sober coach by her side 24/7" and is attending AA meetings. Lovato's recent social media post was flooded with supportive comments by fans and fellow celebs alike. However, one person who couldn't be prouder of the "Heart Attack" singer is mom Dianna De La Garza. During her recent appearance on the Conversations with Maria Menounos podcast in late October, she said, "I couldn't be more thankful or more proud of her, because addiction, being a disease, it is work. It's very hard, it's not easy, and there are no shortcuts." If you or someone you know is struggling with addiction, please call the Substance Abuse and Mental Health Administration's 24/7 National Helpline at 1-800-662-HELP.